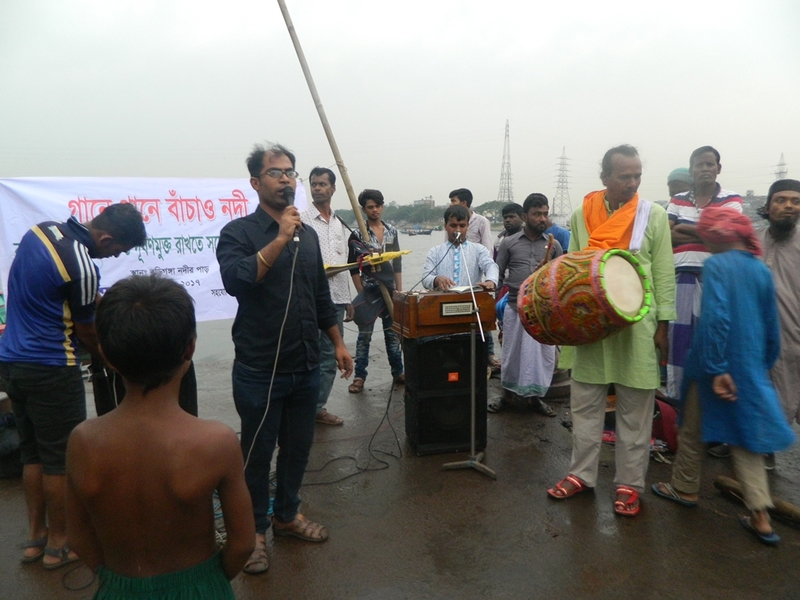 On 9th of May, Buriganga Riverkeeper continued its 6th day of ‘Save River through Song’ programme, in Showari Ghat, Dhaka. Buriganga Riverkeeper’s team along with the cultural group ‘Rangmohal set up their premise on the other side of Buriganga. It was raining but the rainfall did not stop our team to perform and attract a vast audience to disperse awareness. 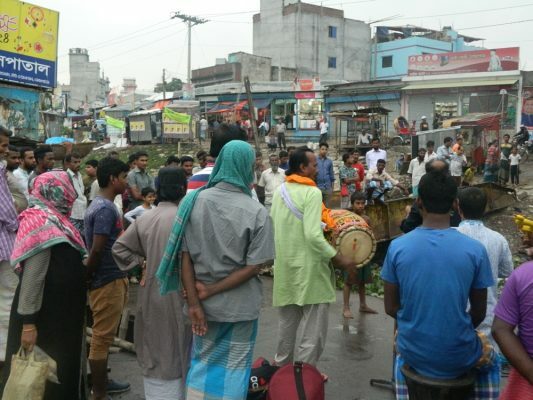 Rangmohal’s leader, Mr Hirak Sardar took the initiative to explain people about the current situation of Buriganga through songs and brief speeches. He told them the stories of pollution, stories of encroachment. His team performed various Bengali folk songs and danced in the midst of rain. Villagers, workers, school students, people residing near Buriganga gathered for the programme.